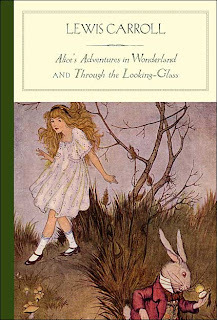 From a symbolism and allegorical standpoint, this book is a great subject to dissect, especially considering Lewis Carroll was a famed mathemetician and enjoyed teaching symbolism to his pupils. Anyone who decided to pursue this project would find themselves confronted with a plethora of books already out there dedicated to analyzing Carroll's work. Personally, I prefer the entertainment side of books and literature, so as a story, I can't say I enjoyed Alice in Wonderland all that much. I hope the Alice in Wonderland movie coming out today is MUCH better than the book, for once!